In our Joy study this week, we came across the concept that I’ve thought of many times in life, it was the concept of Schadenfreude. Schadenfreude is a German word that literally means “malicious joy.” It is also defined as feeling great pleasure when someone encounters misfortune; misfortune meaning anything negative that they are going through: trials in their life, their kids not doing well, drama they have with other people, illness they may acquire, injuries they may get either physically or psychological harm. I’ve seen some definitions that put forth that it’s synonym is “bullying.” True, bullies enjoy hurting someone, but bullying can also be to enjoy watching someone be hurt by someone else. Having malicious joy at another person’s misfortune is Satanic and demonic. It’s ungodly, the opposite of what God would want us to feel toward another, and yet, I’ve seen communities where Christians engage in it all the time, and feel very entitled to it’s wicked pleasure. Blogging online has opened my world to see and experience things that I have rarely experienced before I started writing this blog, especially in the way of the trolling (passive aggressive or outright aggression) I’ve received over the two years of blogging. It’s especially awakened me to the negative feedback or attacks I’ve witnessed other bloggers receive for merely existing on the internet with their opinion. I’ve seen people undergo smear campaigns where a group of accusers ganged up on one person in order to try to get them to stop blogging. The blogger’s offense? Something very minor that the group believes is worthy of their harassment. I’ve seen a group of people be used by Satan in lying about someone, revealing their private personal information to the general public, and even revealing information about their precious children – their names and ages and where they lived or went to school. I’ve even seen this same group of people claim that they were the victims, and that the people they cyber-harassed should apologize to them. While others have had it much worse, the most vicious feedback I have experienced personally, has been sadly from fellow Christian brothers and sisters, people who even admitted to me later, their enjoyment of watching my attackers verbally abuse me online. It’s Schadenfreude spectatorship. And it’s been a very eye-opening experience seeing the depth that even Christian brothers and sisters can go when they are alone, anonymous, and behind a computer screen. I had a young woman, a mother of three little boys, tell me outright that she actually enjoyed watching a man verbally abuse me online, calling me names and slandering me in every way he could imagine. This same man still slanders me to this day, and yet believes he is representing Christ. The young woman told me she thought I deserved his treatment because of how I tried to defend myself against his slander. God convicted her that the Schadenfreude in her heart, her enjoyment of my mistreatment, was evil, ungodly behavior, and from Satan. She actually apologized to me, and I was given the chance to tell her I forgave her. If you’ve experienced verbal abuse or cyber-harassment (bullying) online, don’t let it steal your joy, and whatever you do, don’t try to counter-attack your attacker, as it never works, and only adds fuel to the fire. Defend when you can, but sometimes the battles are too complicated, false witnesses rise up to tell lies against you, or the online environment too hostile for one person to defend themselves, that the only right thing to do is to walk away. Don’t try to counter-attack your attacker, it only adds fuel to the fire. I’ve also seen that people can be so confused as to the truth, especially when someone gives false witness of what happened, that they mentally block out any explanation you would even try to give to clear up the confabulations. Focusing on the ordeal will steal your joy, and trying to clear up matters that people have chosen to misunderstand is a futile waste of one’s precious time. Instead, we should be focusing on pursuing what God wants us to pursue, and this gives one a peace that surpasses understanding, the ability to even offer kindness and joy to our offenders that amazes and astonishes them. When you’re able to ignore slander, and all kinds of insults or verbal abuse thrown at you from a person or group of people, you grow in a beautiful way. This doesn’t mean that it doesn’t take a long time for you to get to that point. I’ve only recently begun to realize a few months ago, how much focusing on these things was taking me away from my purpose, and stealing my peace of mind and joy – things that my children depend on me protecting for their own benefit! But I understand the strong temptation to counter-attack or waste time fighting back in detrimental ways. 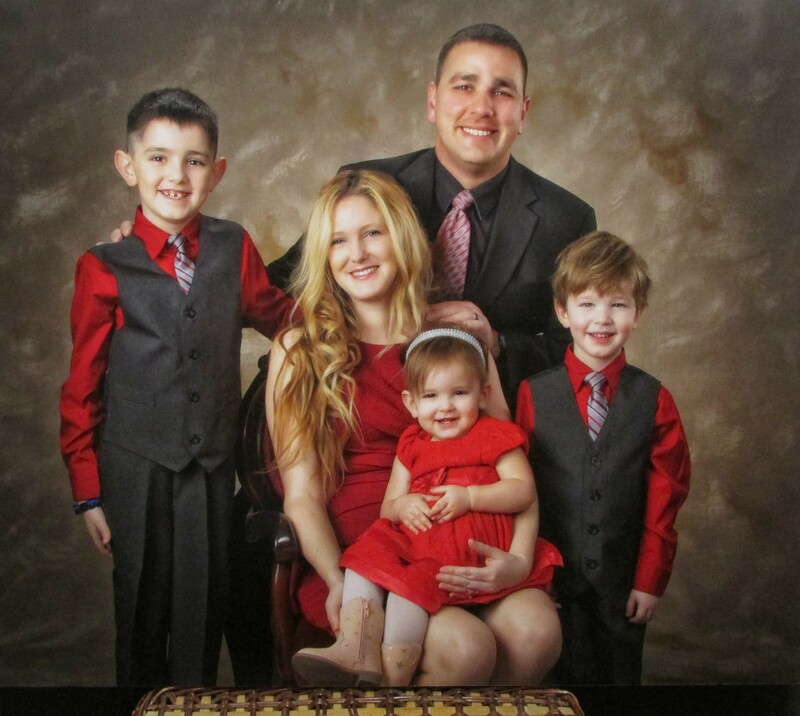 Recently this past weekend, one of my husband’s fellow Officers was hit by a drunk driver. Amazingly, the crash didn’t kill him like so many others, however one of his legs were shattered. My husband saw the news article online, as well as the usual derogatory comments Police Officers tend to get, however, this time he saw one of his fellow Officer friends commenting online, trying to defend the friend that was injured. This is something they never try to do, no matter how bad the slander and insults get! Defending against commenters online who feel emboldened by their anonymity, and get away with saying anything would only be a torturous ordeal for them. He told me he was going to counsel this younger man, and help him understand that there is NOTHING he can say to combat the cyber-harassment people do online when they think they’re anonymous, and when they have no real life consequences. These men and women are used to the verbal abuse they receive daily, people tell them things that would make a normal citizen faint or want to violently counter-attack the person. But watching people enjoy this Officers pain and joke about the way he was injured must have gotten to this man. And I’ll admit it, the anti-police rhetoric I’ve seen from Christians in online communities has devastated me in the past. I’ve tried argue that not all of the police officers are bad, only to receive more insults and slander against them, even against my own husband. We must forgive those who engage in Schadenfreude. I know that sounds like a hard pill to swallow, but it’s crucial to not letting it steal our joy. Forgive them, warn against them as Paul did of the men who caused him great harm, even turn them over to Satan as Paul said he did of Alexander and Hymenaeus. Wash your hands of them so that you can continue on doing a good work for God, not being distracted by their enjoyment of doing evil or causing others harm. Don’t read the slanderous comments or the passive aggressive posts if they start to steal your joy. Try your best to ignore the accusations and attacks that are based on ignorance, and forgive the people who foolishly believe the false witnesses. I’ve found that the best thing is to depend on God for your sustenance, and to bless those who curse you, bless those who insult you, and to know that God sees everything, and promises to repay those who do evil against you. I know it sounds backwards and insane, thanking God for something that is so painful and potentially reputation-ruining, but thanking God for the insults you receive, the lies spread about you, the false witnesses encouraging others to believe wrong things, changes the circumstances. Thanking God for these things, Redeems them. It’s acknowledging in your heart that God can even use this to grow you, to make you more like Him, and to work good in your life. Thanking God for receiving verbal abuse, or feeling other’s malicious joy at your misfortunes also redeems back your joy in life, and protects your mind and spirit from becoming bitter. Love others, do what is right, forgive those who cause you harm, and thank God for it. I feel like what Jesus said about turning the other cheek is very relevant here. I know He was talking about violence specifically, but to take the general principle of “I would rather be wronged than spiral down into a malicious cycle with you that degrades both of us” stands. It is also shocking and troubling to me that some of the most seemingly hardened, crude, joyless voices out there are the Christian ones. But then, when a jerk becomes a Christian, they don’t necessarily become a good person overnight. They just become less of a jerk, by small degrees, year by year as God works on them. I’m surprised that you say you’ve never felt schadenfreude. Maybe you’re thinking of it too dramatically. I just felt schadenfreude last week when someone who had hurt me very deeply was tagged in a picture on Facebook which revealed that she had recently gained some weight. It wasn’t good or pretty but I think it’s a common experience, especially where unresolved hurt or powerlessness are involved. I saw this warning in Proverbs. During my career days, I read a one chapter in Proverbs every day. Also Romans 12 tells us not to get even–let God do the avenging. So in my career, I turned people over to God who I thought was hurting me at work. God knws the facts for sure. I just paryed for them and let God handle it. Once during the end of my caeer, someong almost got me fired. I sought counseling, worked out a compromise with th Vice President and retired 6 mohths later with a 20 year pension. Then about year later, I found out the guy who alamost got me fired was fired himself for embelzzlement.. He took $20 out of petty cash. I thought aht was harsh, but I assume God did the getting even. I was called by the V.P. so I could gloat. I refused and reminded the V.P.. that John had a nice family and was buying a house, and hope he got another good jog. That ended the call. You are right on what you have posted about this. I stay on Private for amy 3 blogs to avoid the truble makers. I’m definitely not a saint.. I’ve felt anger and hatred before, but I’ve found myself actually defending evil people at times. When Bin Laden was killed… my first reaction to seeing all the joy on my facebook feed was privately that God doesn’t take joy in an evil person dying, that even He is grieved that they did so much damage and never turned to goodness. It’s somewhere in Ezekiel, but it’s there that even He doesn’t take pleasure in an evil person’s suffering. Wow HMN!! I love reading your blog and your comments about how you’ve dealt with unfair life experience. You’ve been through a lot, and yet you don’t seem to let it make you bitter. That’s an interesting story, too, about the man who tried to get you fired… I’ve also seen similar things, and there’s a Proverb about that as well, that “you will watch when the wicked who have harmed you are destroyed.” But yes, we’re not called to gloat, otherwise the Lord becomes angry with us! I’ve thought a lot about privatizing my blog HMN 🙂 a lot – a lot! But I also receive a lot of great encouragement from helping others and sweet, encouraging emails from people who have been touched. @Leelee, as far as weight gain goes… I’ve also seen people who have actually betrayed me pretty badly in the past, gain lots of weight over time. I just don’t find any pleasure in it at all. In any way, it just makes me feel pity for them. I struggle with weight myself, LOVE to eat bad foods unfortunately, and have to constantly find a way to exercise to ward off gaining and not being able to fit into my old clothes. I try to do it in a peaceful way, not a “striving” kind of way, but I still do “struggle” with weight myself… so seeing others losing that fight makes me sad for them. Great post. You taught me a new word – Schadenfreude(Malicious Joy). I like you have actually experienced some the nastiest attacks from people who claim to be Christians not just for particular things I write – but for the mere fact that a blog like mine exists. I have received death threats and other lesser threats. I have people trying to hack my site every day of the week. One day they may succeed in hacking my site(which is why I have my articles backed up) and I may have to rebuild it. But at the end of the day we need to heed the psalmist words and commit our way to the Lord and trust in him. He will vindicate us. That Psalm 37 passage, BGR, is so wonderful! Thank you for reminding me of it! I just got permission to post a picture of the Officer that was hit by the drunk diver. Seriously, it boggles my mind that anyone could make fun of or take joy in that happening to someone. Seeing it, seeing what happened to him, really sinks it in for me, how evil schadenfreude is. The anonymity internet definitely empowers a lot of toxicity. And toxicity just fuels more toxicity. Sometimes it’s striking just how much interactions on the internet can remind me of highschool (passive agressive swipes, out of context allegations, namecalling, and so forth). There really should be a word for that. Similar to the way they have Poe’s law and Godwin’s law. Maybe the Animalhouse law or something. Sometimes it can be helpful to sit back and read and think of it all as a psych experiment. It’s fascinating. But when the topic becomes too personal, it is virtually impossible to remove oneself emotionally. Everyone has their emotional triggers. My big one is military issues and our military people. Yours would probably be police issues and policemen. Which makes sense because we have a great deal of loyalty to our families and respect for our spouses. “I have received death threats and other lesser threats. Do you want me to trash the previous comment, Liz? I was just going to spam it. I love what you said about sitting back and watching it like a psych experiment. That’s what I’ve found myself doing recently, and it really IS fascinating that way… and incredibly sad. And yes, anti-police rhetoric is definitely my emotional trigger, and a road that leads me off focus so now I avoid it. I just love my husband so much, and I know him, and I know a lot of his friends and they are so good. I understand there are bad police officers, and that all of them, good or bad, need to have a healthy fear of doing the right thing in every situation, but to see the sheer hatred, or things like the malicious joy at seeing on seriously injured, are hard. I automatically think of my husband. It’s sweet that you do with yours, too, and that is why you care so deeply about it – the “loyalty and respect for our spouses” is so true here. ❤ Thank you for adding your sweet thoughts, Liz.